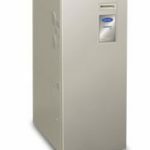 When we started shopping for an Infinity 96 gas furnace, we knew it was going to be hard to get competitive pricing anywhere on the web, and we realized it was going to take a few visits from local contractors just to get a ballpark price. Why does everyone seem to hide their hvac pricing on the Internet? At least on Carrier products they do anyhow. We found a few of them on eBay but we had no interest in doing this ourselves. When we found this Infinity 58MVB price article, we knew immediately that we would be back to share our estimate also. We live in the mountains of Pennsylvania, and we run our heating system from September through May. Think about that, almost 9 months of the year, we are running heat, it 0nly made sense to install a high efficiency furnace and the Infinity 96 gas furnace was the choice! Our home is a very efficient 2-story with fairly new vinyl siding on the outside, and we seem to have at least 2 double-pane windows in every room! We did not have to replace the furnace this year but our original unit was 18 years old, and we felt it would be smarter to replace it while the weather was nice, versus having to do it in an ice storm! Our HVAC Contractor has been trying to get us to switch to a Carrier Infinity 96 Gas Furnace since he replaced our AC system with a heat pump 6 years ago. 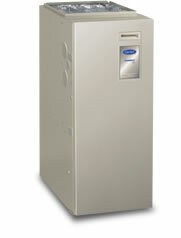 It is a Carrier heat pump as well, but not the Infinity model. Full installation took 3 technicians 1.5 days to get done. In the end, we really won’t know the true value of our new system for 1-2 months, but we are very pleased with the Carrier Infinity 96 gas furnace, and trust the contractor who installed for us!